An image captured by NASA’s NuSTAR telescope, designed to investigate black holes, is the best-ever view of the sun in high-energy X-ray light. For the first time, a mission designed to set its eyes on black holes and other objects far from our solar system has turned its gaze back closer to home, capturing images of our sun. 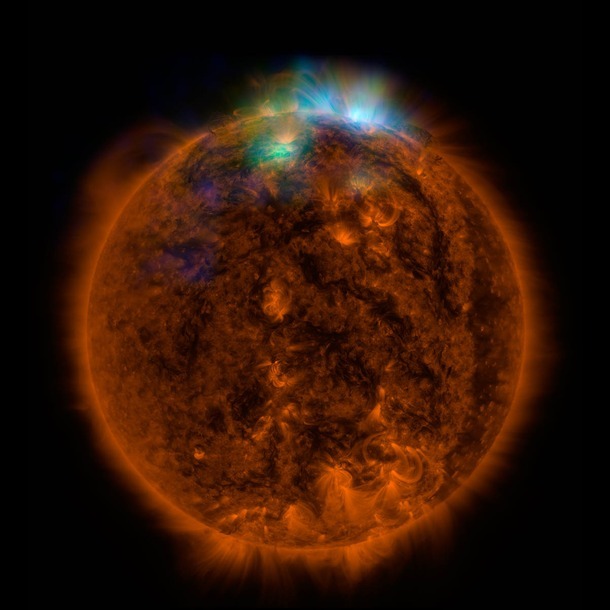 NASA’s Nuclear Spectroscopic Telescope Array, or NuSTAR, has taken its first picture of the sun, producing the most sensitive solar portrait ever taken in high-energy X-rays. “NuSTAR will give us a unique look at the sun, from the deepest to the highest parts of its atmosphere,” said David Smith, a solar physicist and member of the NuSTAR team at University of California, Santa Cruz. 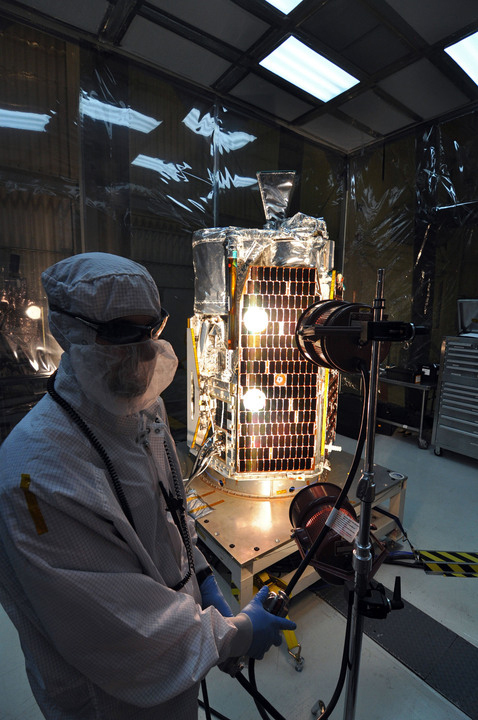 Solar scientists first thought of using NuSTAR to study the sun about seven years ago, after the space telescope’s design and construction was already underway (the telescope launched into space in 2012). 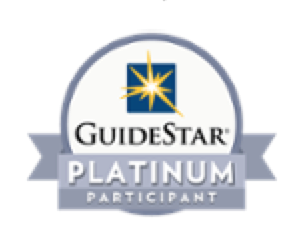 Smith had contacted the principal investigator, Fiona Harrison of the California Institute of Technology in Pasadena, who mulled it over and became excited by the idea. “At first I thought the whole idea was crazy,” says Harrison. “Why would we have the most sensitive high energy X-ray telescope ever built, designed to peer deep into the universe, look at something in our own back yard?” Smith eventually convinced Harrison, explaining that faint X-ray flashes predicted by theorists could only be seen by NuSTAR. While the sun is too bright for other telescopes such as NASA’s Chandra X-ray Observatory, NuSTAR can safely look at it without the risk of damaging its detectors. The sun is not as bright in the higher-energy X-rays detected by NuSTAR, a factor that depends on the temperature of the sun’s atmosphere. This first solar image from NuSTAR demonstrates that the telescope can in fact gather data about sun. And it gives insight into questions about the remarkably high temperatures that are found above sunspots — cool, dark patches on the sun. Future images will provide even better data as the sun winds down in its solar cycle. “We will come into our own when the sun gets quiet,” said Smith, explaining that the sun’s activity will dwindle over the next few years. With NuSTAR’s high-energy views, it has the potential to capture hypothesized nanoflares — smaller versions of the sun’s giant flares that erupt with charged particles and high-energy radiation. Nanoflares, should they exist, may explain why the sun’s outer atmosphere, called the corona, is sizzling hot, a mystery called the “coronal heating problem.” The corona is, on average, 1.8 million degrees Fahrenheit (1 million degrees Celsius), while the surface of the sun is relatively cooler at 10,800 Fahrenheit (6,000 degrees Celsius). It is like a flame coming out of an ice cube. 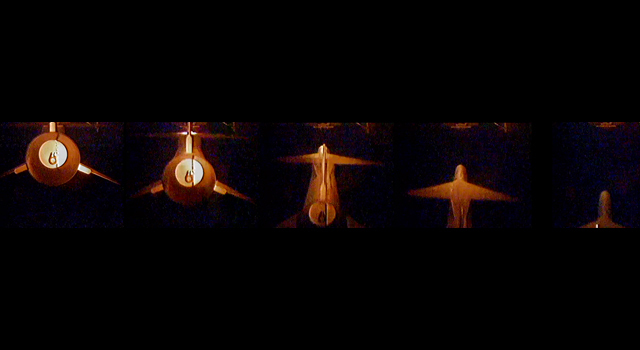 Nanoflares, in combination with flares, may be sources of the intense heat. If NuSTAR can catch nanoflares in action, it may help solve this decades-old puzzle. 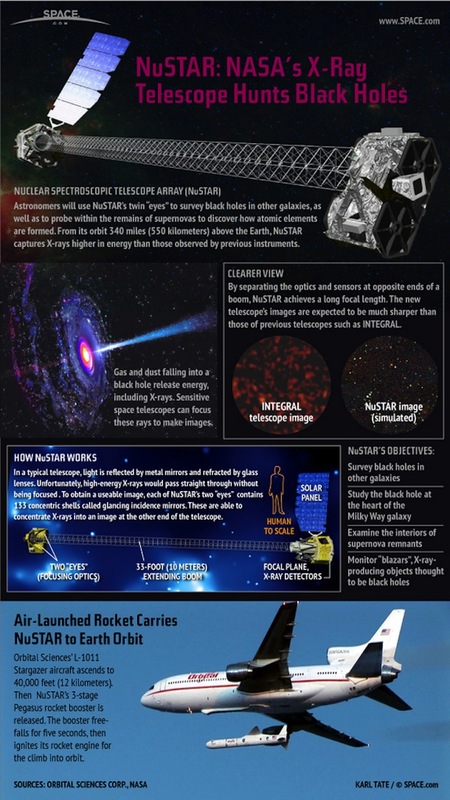 “NuSTAR will be exquisitely sensitive to the faintest X-ray activity happening in the solar atmosphere, and that includes possible nanoflares,” said Smith. 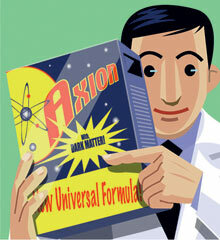 What’s more, the X-ray observatory can search for hypothesized dark matter particles called axions. Dark matter is five times more abundant than regular matter in the universe. Everyday matter familiar to us, for example in tables and chairs, planets and stars, is only a sliver of what’s out there. While dark matter has been indirectly detected through its gravitational pull, its composition remains unknown. It’s a long shot, say scientists, but NuSTAR may be able spot axions, one of the leading candidates for dark matter, should they exist. The axions would appear as a spot of X-rays in the center of the sun. Meanwhile, as the sun awaits future NuSTAR observations, the telescope is continuing with its galactic pursuits, probing black holes, supernova remnants and other extreme objects beyond our solar system. ← Is time really passing?